I wanted to take this opportunity to thank all the folks at 50 Legs for making it possible for me to receive a new prosthesis just before Christmas. I have been a below knee amputee since 1983 when at the age of 21 I was involved in a boating accident. 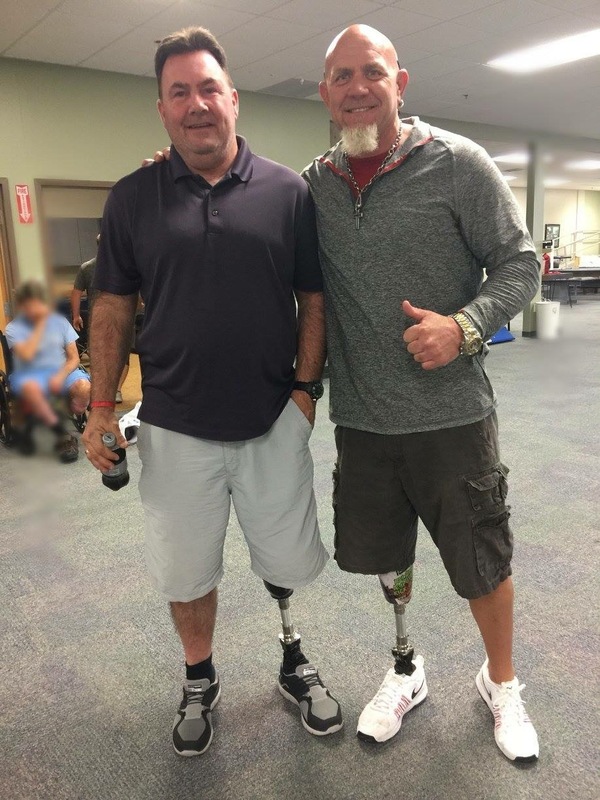 Over the past 35 years I have witnessed the evolution of prosthetics go from very basic and limited design to the multitude of various high performance systems that are available today. Unfortunately, what has not changed is the extreme hardship that the cost of this technology can have on a family. The work that is being done at the 50 Legs Foundation has helped so many people have access to this amazing technology and the amazing prosthesists and technicians at P.O.A. When I headed down to Florida, I kind of knew what the process would be regarding the fitting and constructing of the new prosthesis. What I was not expecting was what I saw each day at the clinic, young kids missing one or both legs interacting with the P.O.A. techs. I watched in amazement as these young kids used their new prosthetics to run around, laugh and play in the gym area. It made me appreciate how strong and resilient the human spirit is, especially when it comes to a child. I will be forever grateful to the 50 Legs Foundation and all the folks at P.O.A. especially you, Steve, Stan, Ronnie and Rich who worked so hard getting the trip set up , and my leg completed so quickly.